Samsung Pay has gone live in Puerto Rico with support from Banco Popular, the country’s largest bank. The service is supported by MasterCard and Visa and is available from mobile network operators AT&T, T-Mobile, Sprint and Claro. 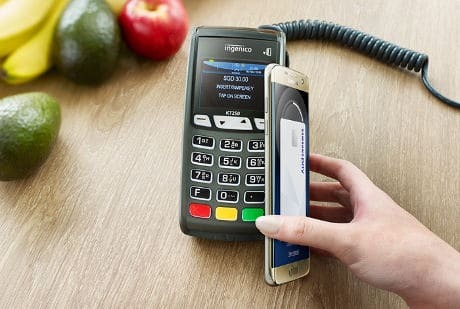 “Samsung Pay will be available starting today on compatible Samsung smartphones including the Galaxy S6, Galaxy S6 Active, Galaxy S6 Edge, Galaxy S6 Edge+, Galaxy Note 5, Galaxy S7, Galaxy S7 Active and Galaxy S7 Edge, with specific availability varying by local operator in Puerto Rico,” Samsung says. “We’re excited to partner with Banco Popular to bring Samsung Pay to Puerto Rico,” adds Thomas Ko, vice president and global co-general manager of Samsung Pay at Samsung Electronics. Samsung Pay was launched in Korea in August 2015 and in the US in September 2015. Its launch in China in partnership with China UnionPay was announced in December. Plans for a global expansion of the service were unveiled at Mobile World Congress in February this year. The Puerto Rico launch follows the mobile payment service’s debut in Europe in June 2016 when it began rolling out across Spain. Its rollout in Singapore later in the same month was closely followed by an Australian launch. Samsung Pay is also expected to go live in Brazil, Canada and the UK this year.